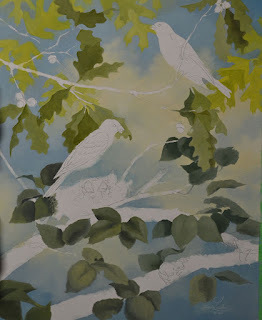 I have spent today, blocking in the new bird painting. Needed to let the Indian painting sit for a day or two. I like to let my paintings percolate in my mind a bit before proceeding. It often results in seeing mistakes before they become impossible to fix.